If one is to interpret the dry wit of Mr. Twain, I would come to the conclusion that he admires cauliflower. And what’s not to love? Move over kale; step aside acai berry. Cauliflower is our new super food, and with good reason. Unlike kale, acai, or other “health foods” cauliflower is a blank canvas; its mild unassertive taste can readily adapt to almost any flavor profile. 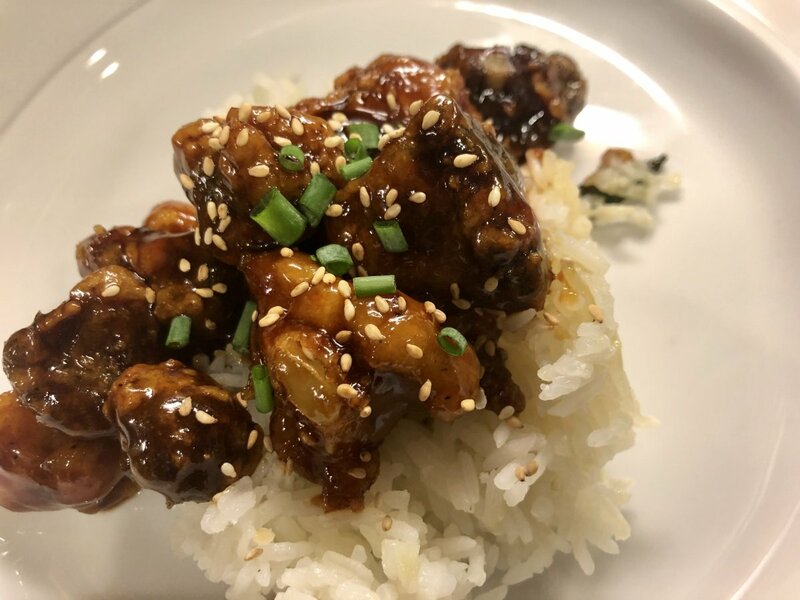 And cauliflower is the master of disguise – it can take the place of beef or chicken in a teriyaki stir fry, be sliced into steaks and roasted, mashed like potatoes, transformed (with the magic of the food processor) into a savory rice dish, or even shaped into gluten and flour-free bread! From Where Did This Clever Cabbage Cousin Originate? As a member of the cabbage family (Brassica oleracea), the legend and exploits of cauliflower is very much like that of its cousins. Food historians date brassica to about 6,000 B.C. when Etruscans were cultivating wild cabbage plants. Pliny the Elder (Roman philosopher and author) wrote of it, and the Romans enjoyed a form that was purple (similar to the color of red cabbage). The name comes from the Latin caulis (which means cabbage) and floris (flower). At about this same time, it was also being cultivated by Colonists in America. By the 18th century recipes were appearing in home cookbooks; simmering in milk or pickling and serving as a condiment were favored methods of preparation. But, What About That Smell? Most people who say that they hate cauliflower (or cabbage) complain about the funky smell. I can remember walking home from school, and I'm sure that one block away I knew if my mom was boiling cabbage. And this is why -- cauliflower (and all other members of the cabbage family) contain sulfur compounds called isothiocyanates. When heated, these compounds break down into several other simpler compounds--and one of those is sulphur dioxide. Yes, the same aromatic that provides the smell of the Yellowstone National Park geysers, natural gas, and (our favorite) rotten eggs. 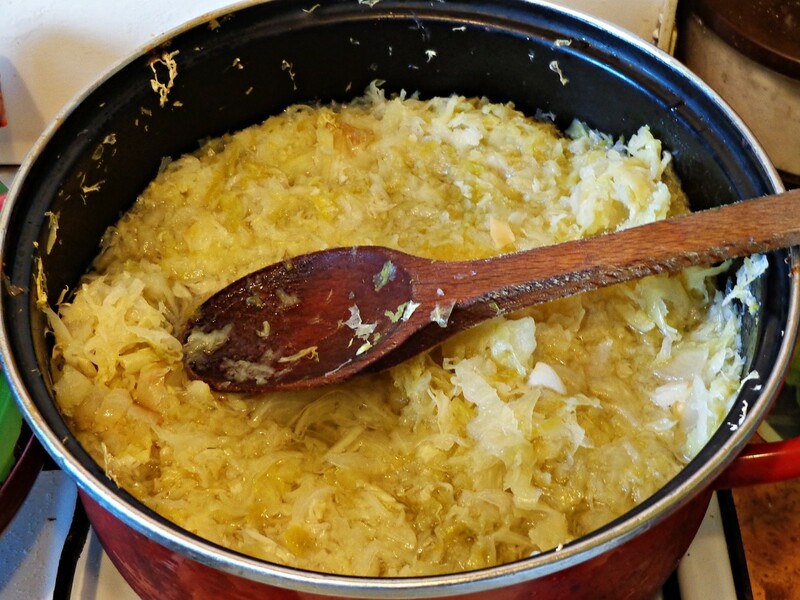 The longer members of the cabbage family are subjected to heat, the stinkier they become. And there, my friends, is the solution. 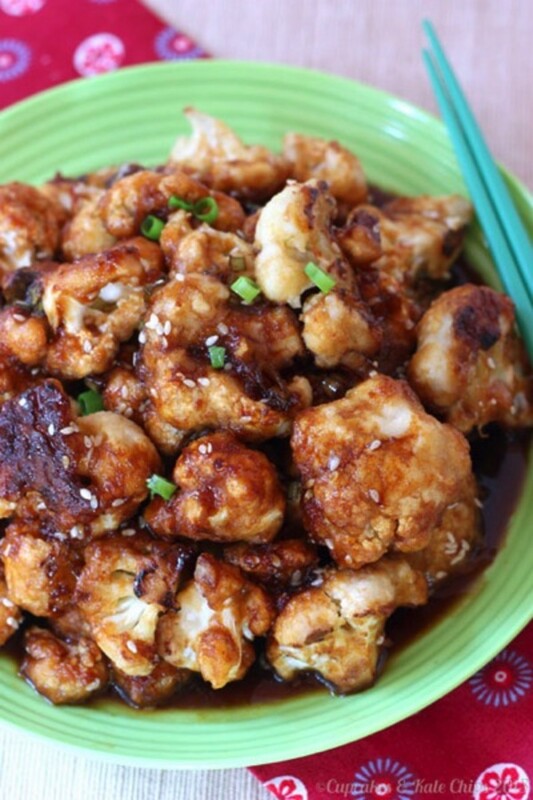 Cauliflower is not the problem--it's the cook (or to put it more gently, the cooking method). We can fix this. And, I'll bet there is a recipe here that your whole family will enjoy! Look for heads that are firm, compact, and unblemished. White cauliflower should be pure creamy white. But did you know that there are green, orange, and purple varieties too? The head should feel "heavy" for its size. If there are soft spots or an "off" smell, don't buy it. 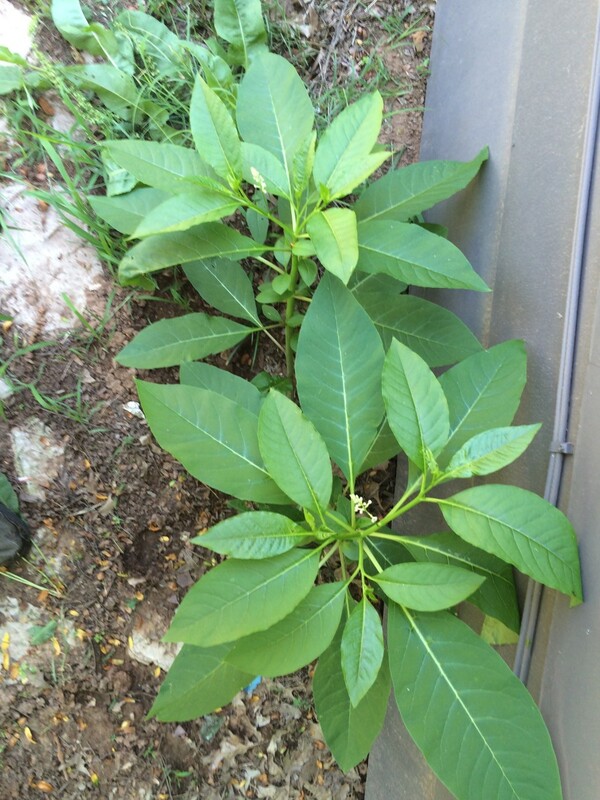 Any attached leaves should be fresh-looking, not limp. To store, place cauliflower in a plastic bag, removing as much of the air from the bag as possible. It will keep this way, if refrigerated, for up to 5 days. Do not wash cauliflower until you are ready to prepare and use it. 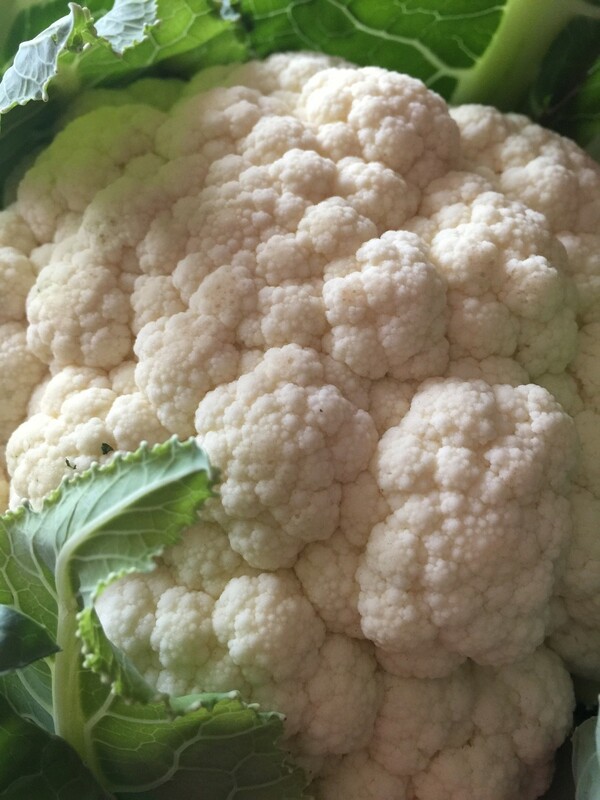 Cauliflower can be steamed and then gently mashed. For those hoping to consume fewer carbohydrates, this is a blissful substitution for mashed potatoes. Trim cauliflower to remove stem and leaves; break down into florets. 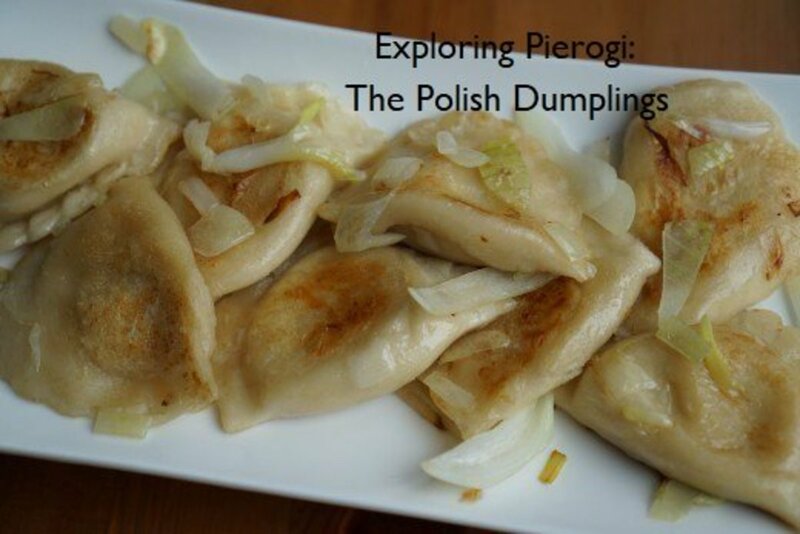 Place in a steamer basket; steam over gently boiling water until florets are tender; about 10 minutes. Remove basket from heat and place over large bowl. Press on cauliflower with the back of a spoon to extract water from the cooked vegetables (yes, there will be water. Lots of water). Push, push, push! Place "squished" cauliflower in food processor. Add sour cream, butter, and seasonings. Process until smooth. 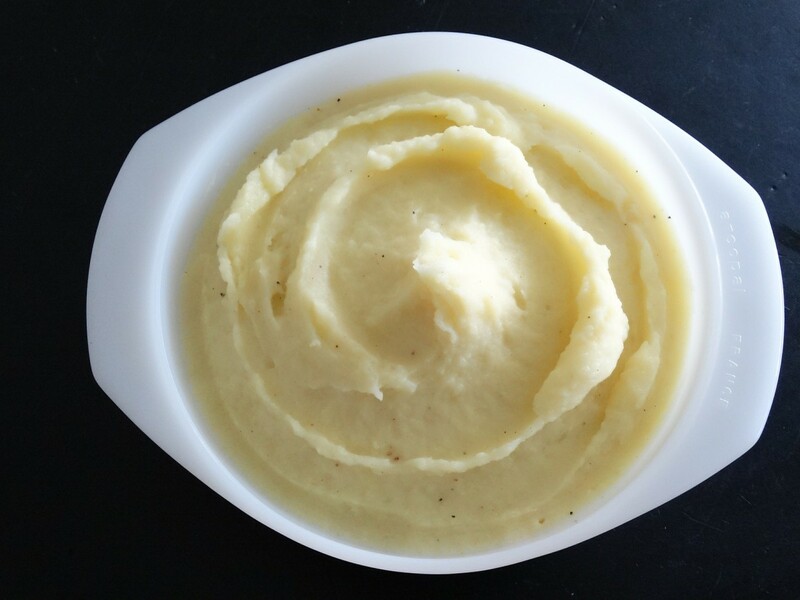 (Unlike potatoes, this mash doesn't become gluey when whipped in a food processor). Transfer to a serving dish. (By the way, you can reheat this in the microwave for a few moments if it has cooled a bit too much for your taste). But wait, there's more. You can use this puree in place of a roux to thicken soups and chowders. Do you love white rice, but feel guilty about the 'empty' calories? Or maybe you reminisce about couscous but have become wheat intolerant. 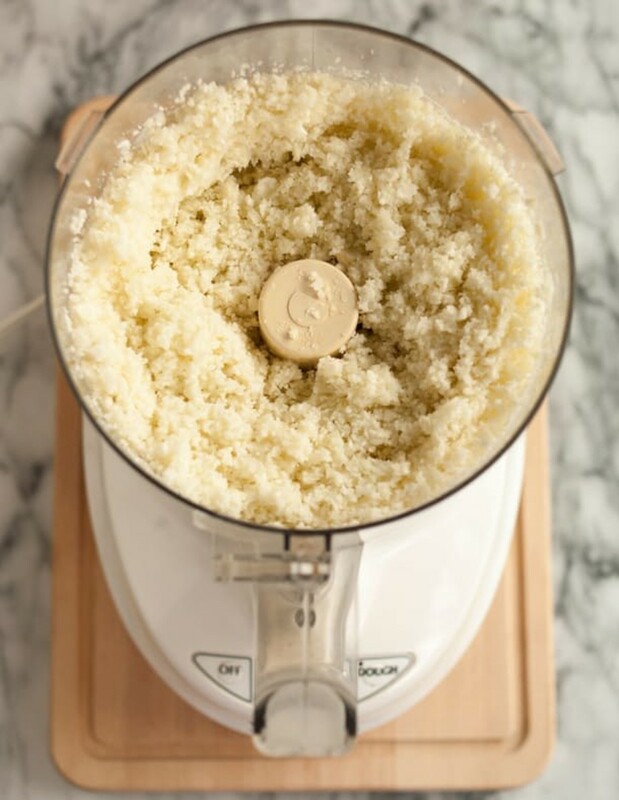 There's a fix for that -- rice, or couscous made from cauliflower minced fine in your food processor. Thekitchn.com shows us how. What can you do with the faux rice? Here's a quick recipe for fried "rice" and vegetables with a savory umami kick from Chinese 5 spice powder and sesame oil. In a large sauté pan or wok, heat 2 teaspoons of the vegetable oil over medium-high heat. Add onion, carrots, and celery to the pan; cook 3 minutes or until carrot is softened. Add the garlic and cook for 30 seconds. 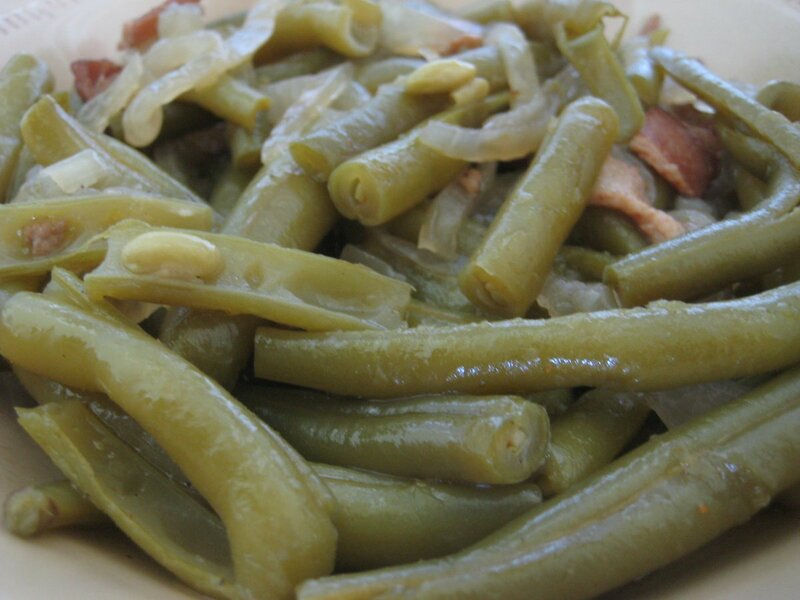 Remove the vegetables from the pan; set aside and cover to keep warm. Pour the remaining teaspoon of oil into the pan; add the eggs and cook, stirring occasionally and breaking up with a spatula until the eggs are scrambled and cooked through. Place the cauliflower rice in the pan; return the reserved vegetables to the pan and stir in the peas. Add the soy sauce, Chinese 5 spice powder, and sesame oil. Heat, stirring occasionally for 2 to 3 minutes. Serve immediately. 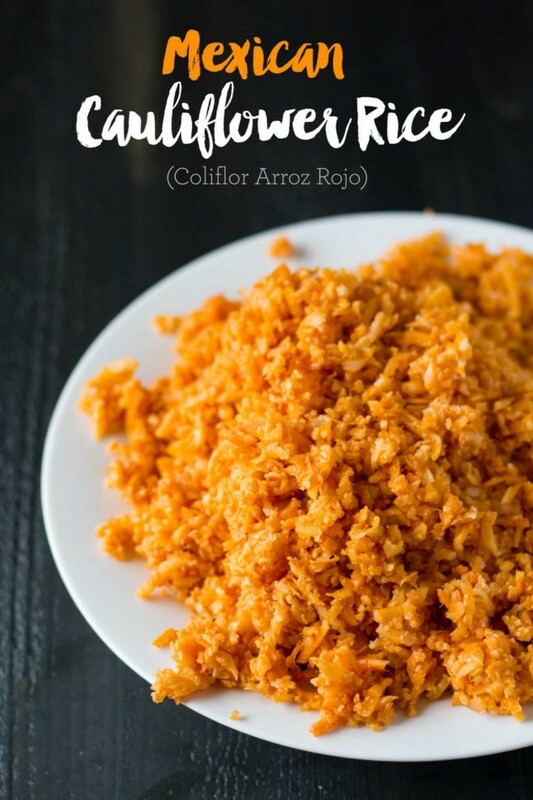 Beth has a delightful blog named eatwithyourmeans.com, and shares a tasty non-rice Mexican rice dish with us. It's great as a side with bean burritos, fish tacos, or grilled chicken. We're not yet done with the faux rice. Believe it or not, you can use it to make a wheat free, gluten free bread. Now, don't misunderstand, this is not low-calorie. Without gluten we need to find another ingredient that will "bind" everything together—typically, that ingredient is cheese. Line rimmed baking sheet with parchment paper, brush with olive oil and set aside. Place the cauliflower in a microwave safe bowl and cover with plastic wrap; lift one corner to vent. Cook for 4 minutes. Dump cooked cauliflower onto a clean tea towel; set aside until cool enough to handle. Wrap the microwaved cauliflower in the towel; twist and wring to remove as much water as possible. (You will be amazed at how much liquid there is). Place cauliflower in a large mixing bowl; add the remaining ingredients and mix well until well blended. Form into a tight, cohesive disk. Place disk onto prepared parchment paper. Pat out with fingertips to form pizza crust. You will have a circle about 10 to 12 inches in diameter. Bake for 8-11 minutes, until it starts to turn golden brown. Remove from oven. Cover with your favorite toppings (but take it easy with the pizza sauce, if using). Return to oven. 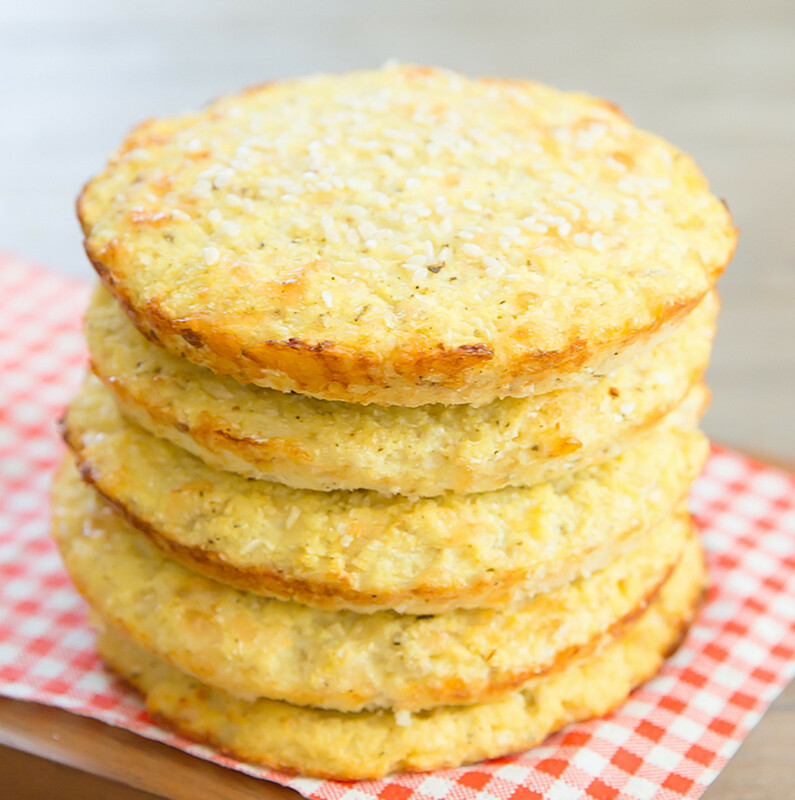 Bake an additional 5 to 7 minutes or until your cheese is bubbly and slightly golden. Kirbie and her DH have a blog -- he is the photographer, and she is the creative spirit behind the creative recipes. I have shared a recipe for pizza crust or flat bread, but this is really BREAD-y bread. Perfect for a burger or making a sandwich. 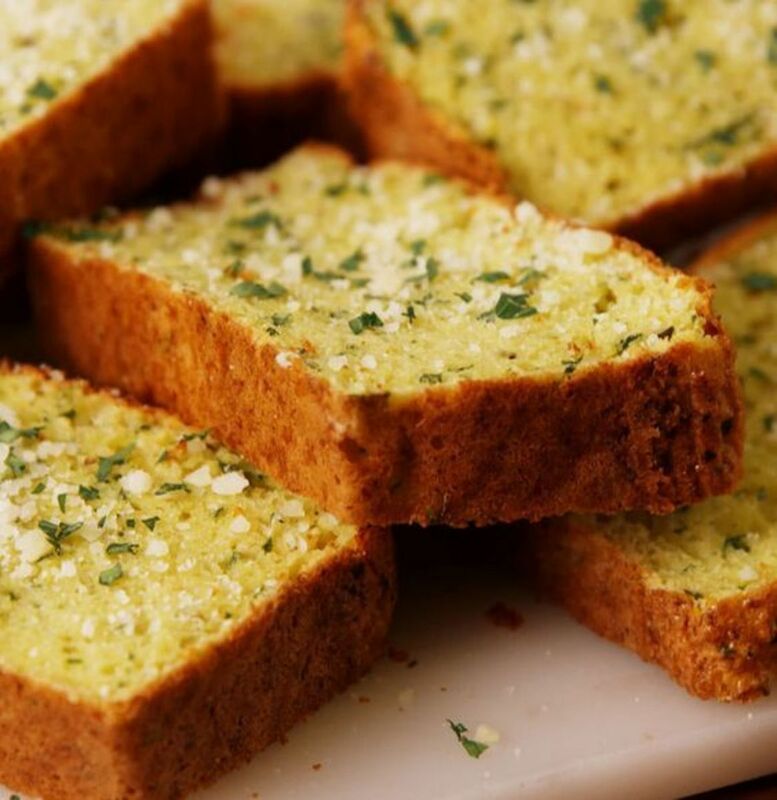 This cauliflower garlic bread does not depend on cheese. That's right, no cheese. Whipped egg whites provide the lift. Would you believe that you can coat florets with batter, oven-bake in a hot oven until crisp, then drench in sweet-spicy teriyaki sauce and achieve something that will satisfy even the most hard-core carnivore? Well, Brianne of cupcakesandkalechips.com did just that to make these sesame glazed "wings." Know what? I think you could take Brianne's idea and turn it into buffalo wings. Just replace her teriyaki glaze with 1/2 cup of your favorite buffalo hot sauce and 3 tablespoons of melted butter. Lawrence, I think you might be on to something there. Good information--thank you for that. Glad that your family enjoyed the mashed cauliflower. Thank you for visiting. I always appreciate your comments and knowledge. 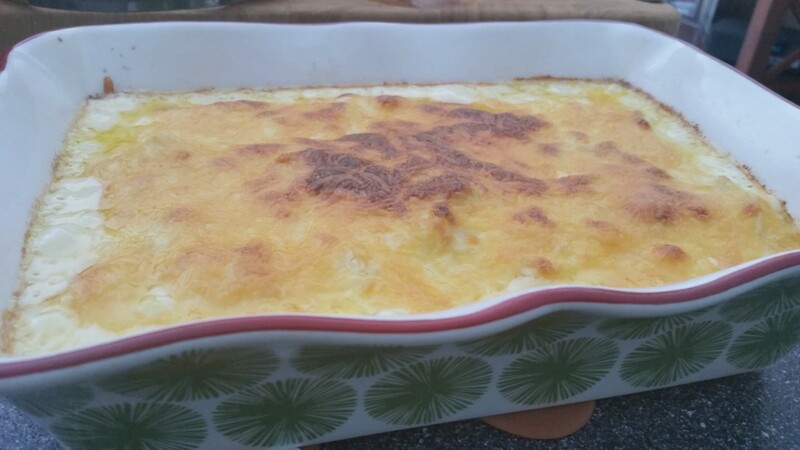 Cauliflower was always a hero with me, especially cauliflower cheese! My mouth is watering just thinking of it! We tried the cauliflower replacing mashed potatoes a few weeks ago, and the family loved it! Just reading your hub, I noticed you said the English got it from Cyprus, Richard the Lionheart conquered Cyprus on the way to the third crusade, he made it a 'vassal kingdom' with the idea it would give him a constant supply of fresh food, I wonder if he brought the food back from there then? Shauna - I haven't tried the mashed cauliflower using a hand mixer. I'm sure it would work, but maybe wouldn't be quite as creamy. The food processor really knocks the living daylights out of it LOL. Maybe you could be my tester and report back? I've seen cauliflower rice on The Kitchen (love that show!). It's all the rage now. Looks easy enough to do. I'll have to come back to this page for sure. As for the cauliflower mashed potatoes, can I use a hand mixer rather than a food processor? Flourish - I think the secret to making cauilflower taste good is not not boil the goodness gracious out of it. That's what my mother did. My article was getting so long I ran out of words before I ran out of suggestions. If you're feeling brave, take a head of cauliflower and slice it vertically into thick steaks. Brush with olive oil. Roast in a hot oven until tender. They will caramelize and turn into an entirely "new" veggie for you. Look on Pinterest for ideas. You've totally sold me with the mac n cheese and sesame dish. Fabulous. I don't mind eating it raw but have a tougher time with cooked. Vocal coach - Yes, mashed cauliflower is so creamy it seems that it should be bad for you. I have a friend who is going to prepare the "rice". His wife is Vietnamese (and I told him he won't be able to fool her), but I'm waiting to hear what her reaction was. Hi Chefmancave - The blogger who created the cauliflower buns showed, on her site, a hamburger with lettuce and tomatoes. 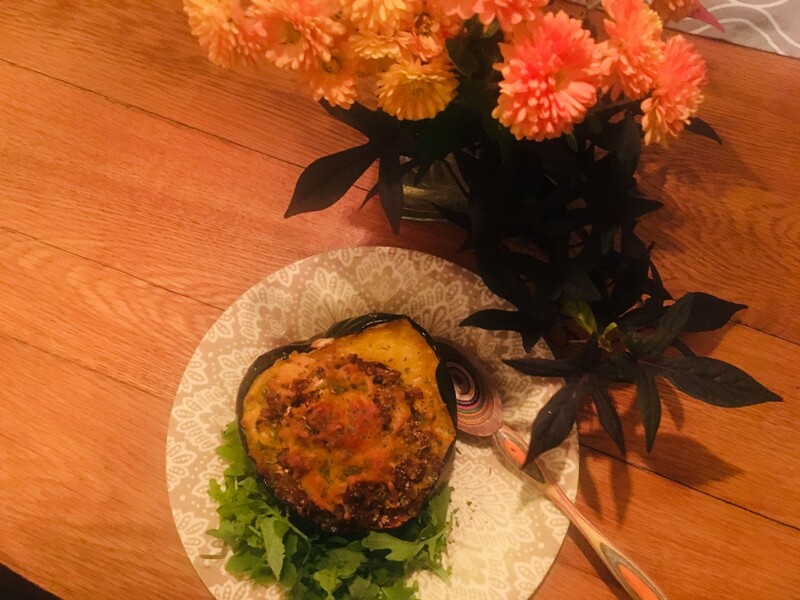 Although the purpose of creating a cauliflower bun is to avoid wheat and/or gluten, it just doesn't 'feel right' to me to adorn something so healthy with a beef patty. I'm thinking fresh sliced tomatoes (remove the seeds to avoid excess moisture), basil pesto, arugula, and some goat cheese. If you want meat, my comfort go-to is turkey breast. I really like sweet/salty combinations (like chicken salad with dried cranberries), but don't think I would go in that direction with the cauliflower. I'd keep it savory. She shoots...She SCORES! What a great article. I will be stopping at my favorite Organic veggie market and buying 2 heads of Cauliflower this weekend. I love all the ideas...especially the bread buns. Now I need think what kind of Cauliflower sandwich I am going to make. Any thoughts? 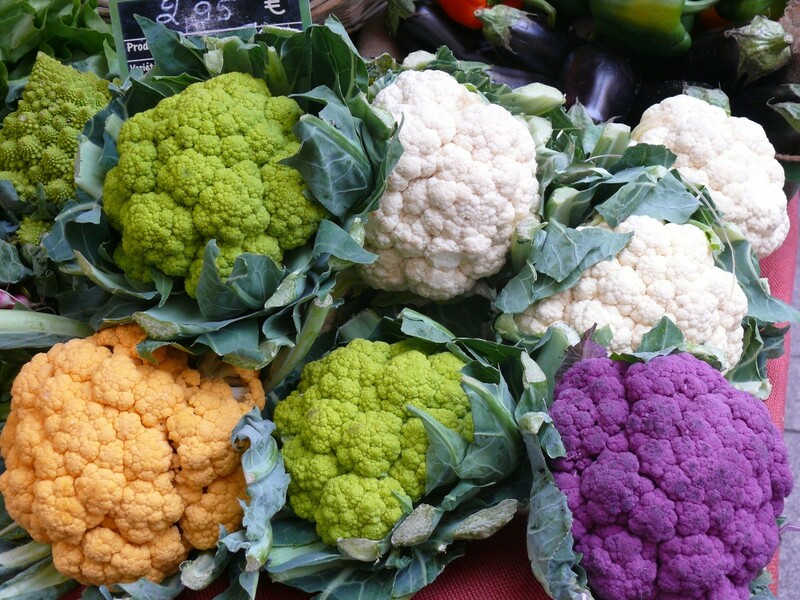 Blond Logic - I have not tried the colored cauliflowers--they are often double or triple the price of the white ones. It's my understanding that they don't actually TASTE any different, but the colors are certainly beautiful. I hope one of the recipes here suits you and your family. As always, thank you, thank you for your support! I just bought some today. I must say, I have been stuck in a rut with my cauliflower cheese so can use some of these ideas. Love the quote from Mark Twain, and I have never seen an orange one before, the other colors yes! Love this, I'll be sharing on Flipbook. Eric - I don't think you can fool her. For one thing, if you like "sticky" rice, this isn't it. But it IS healthy and your little guy might have fun doing something new in the kitchen. Let me know how it turns out, OK? Bill, I'll keep trying. If I at least got a smile on your face, I'm a happy gal. Glad you appreciate my sense of humor. The title was hilarious, Linda, and the information all good. I still won't touch the stuff, but good try. LOL I'm hopeless and I know it, dear friend. Thank you Linda. Ok, I think my boy and I are ready to try some cooked cauliflower. Last night we had it in our green salad. So when I get milk today I will get some cauliflower and give this a shot. It will be interesting to see how my Vietnamese bride rice expert reacts. Yes, it isn't often I am the first to comment. Will take your advice regarding the mash, Linda. Thanks for the tip. John - What a great surprise to see you, and you beat out my friends in this hemisphere! I you don't want to do full 100 percent mash with cauliflower, you can substitute some of your russets -- 50 percent. I hope that you and your family have an opportunity to try a few of these. If and when you do, please let me know. Linda, cauliflower is my favourite vegetable. These recipes sound great. I haven't tried cauliflower mash, but the battered sesame glazed wings and buffalo wings would be fantastic meat substitutes. Thanks for sharing.